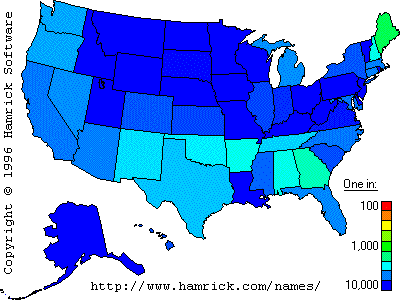 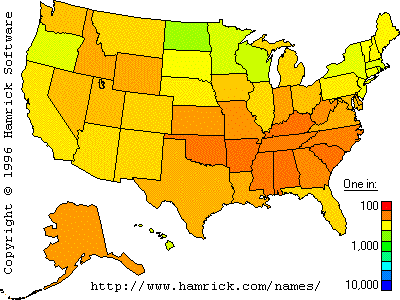 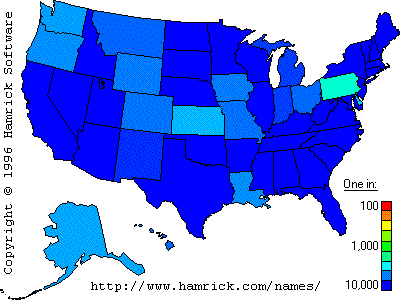 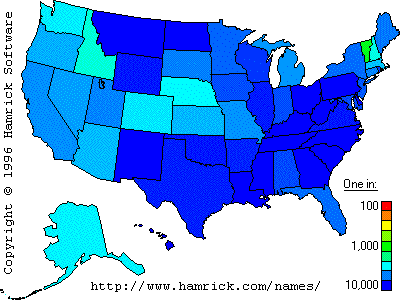 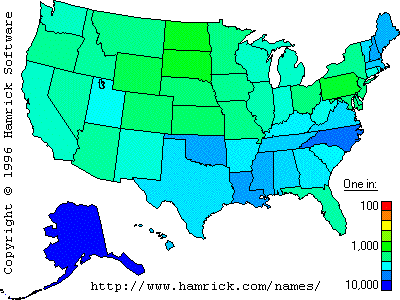 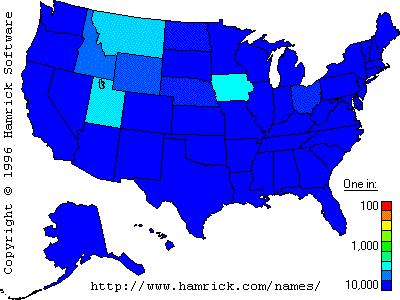 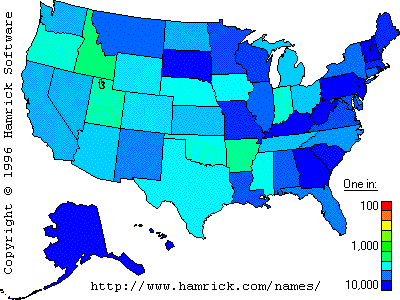 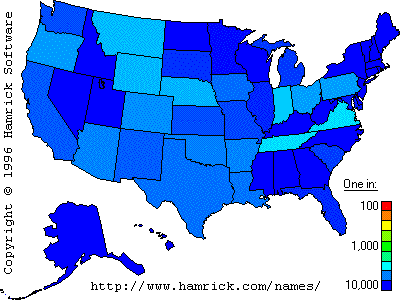 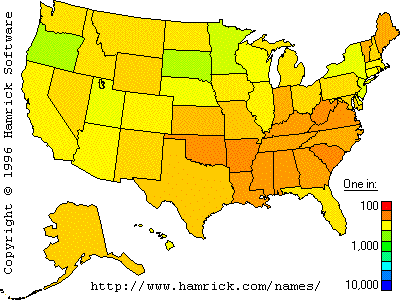 The color of each state indicates how frequently you will find someone with this surname in each state. 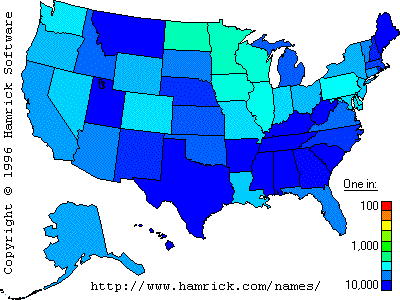 For instance, if a state is colored red, then 1 in 100 people (or more) in that state have the surname. 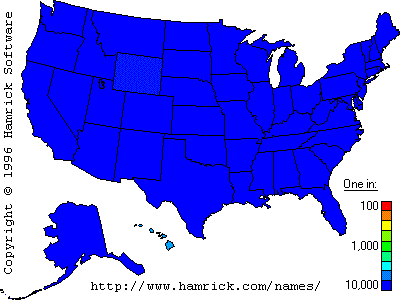 Similarly, yellow means approximately 1 in 300 have the surname, green means 1 in 1000, and blue means 1 in 10,000 (or less).